You don't have to live in pain. We can help! How often do you experience these frustrations? Do you wish you could work at the computer without neck pain? Do migraines keep you from playing with your children? Does stress make your muscles feel stiff and achy? Do you take pain pills like candy just to function during the day? Does your new baby cry constantly for no apparent reason? Do you remember the last day you were pain free? You do NOT have to live with these frustrations. Chiropractic care helps restore the body's natural ability to heal itself without the use of drugs or surgery. Our doctors have many techniques that can help relieve the symptoms of neck pain, back pain, headaches, stiff joints, colic, ear aches and pain from arthritis. You CAN take back your life and enjoy living pain free. At Clear Choice Chiropractic, our purpose is to help as many people as possible to get well naturally and to educate them on what we do so they in turn can educate others. Clear Choice Chiropractic in Portland, IN has been successfully treating patients for over 15 years. 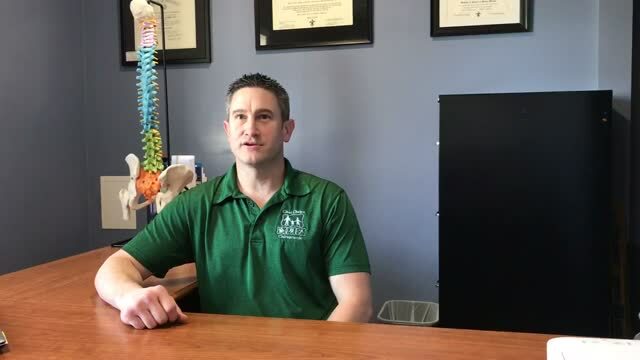 Dr. Gaerke's natural approach to pain management and his commitment to finding and treating the root cause of that pain has made him the first choice for non-invasive care by patients in Jay and the surrounding counties.